Visitor management is becoming increasingly important. That’s especially true for buildings and facilities in New York City, where the the influx of visitors and residents alike increase the threats of attack, crime, and unwanted visitors. But what exactly is a visitor management system, and how do you know if you’re getting one with all of the best features? To answer the first question, a visitor management system is an organized way to track the usage and entry of a public building or site. Visitor management systems can track who’s coming in and who’s going out, allowing a security or facility staff to properly track and document a visitor’s whereabouts. Visitor management is extremely important, especially in places like New York City, for guests and employees alike to feel safe and comfortable. This can lead to productivity and success, not to mention the benefits of security and liability mitigation. Knowing who is on your premises, and more importantly who is supposed to be on your premises, can give you maximum control over safety and security. 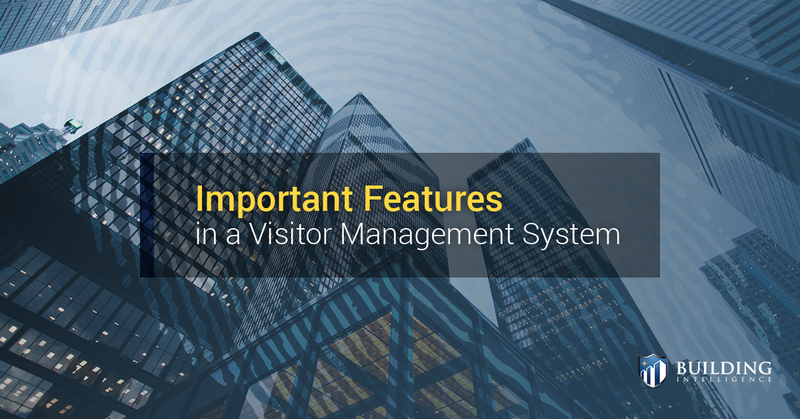 So what are some important features in a visitor management system? Keep reading to find out. Having a digital, cloud based visitor management solution is one of the most important qualities you can have. Cloud based visitor management systems eliminate the need for paper logs, which can often be messy, hard to track, and experience human error or unreadability. With a digital solution, no longer will your logs be incomplete or illegible, nor will you have to replace or refill log books. When a visitor is registered into a cloud based system, that’s it. It will keep all of the necessary information and store the records properly and efficiently – most times with no maintenance or manual system updates required. Even better, cloud based visitor management allows you to access your information and date from wherever you are. Whether you’re in the office or out of the office, all you need is your login information and you can access your log, visitor information, check-in and check-out times, and more. An efficient visitor management system also has an efficient scheduling feature, allowing security guards, tenants, or other staff to quickly and efficiently schedule approved visitors. That way, the facility managers can know exactly who to expect and when to expect them, eliminating long lobby wait times and unexpected arrivals or departures. An efficient check-in and check-out system not only makes the visitation process quicker, but it also minimizes security risks. Having a visitor management system that prints photo ID badges, has a custom QR code for check-in and check-out, and provides notifications to tenants or staff members helps ensure that no one is in the building that isn’t supposed to be. These check-in badges may also be complete with times and personal information that can be tracked through the cloud-based system. At Building Intelligence, we’ve designed the best visitor management to date with the SV3® solution. Our visitor management system stores visitor records, has customized badge printing, minimizes security risks, and makes visitors feel safe, all in one easy-to-use cloud-based system. With SV3®, you can manage access and identities of vehicles, visitors,and vendors, all with incredible award-winning software that is trusted and easy to use. If you’re looking for a cloud based visitor management solution that will help secure your building quickly and efficiently, contact Building Intelligence today.